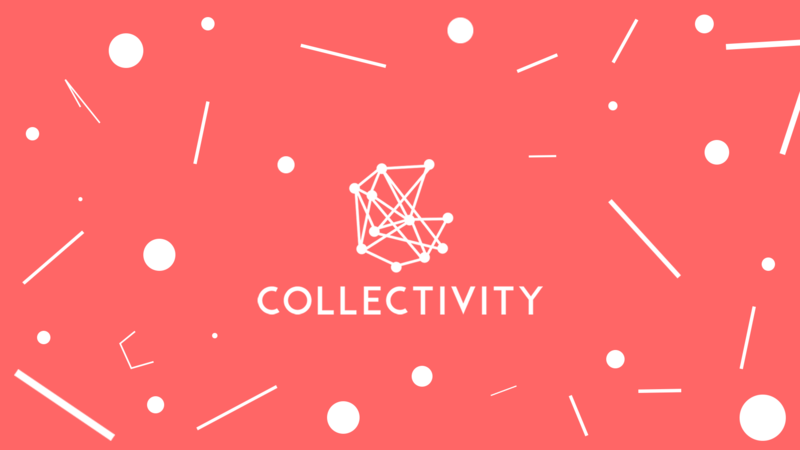 Collectivity is a web application focused on connecting creative thinkers around the world for cross-media collaboration. The exclusive, invite-only platform allows users to view inspiring work, connect with like-minded people, develop concepts from scratch, present and critique iterations and fully execute collaborative projects. 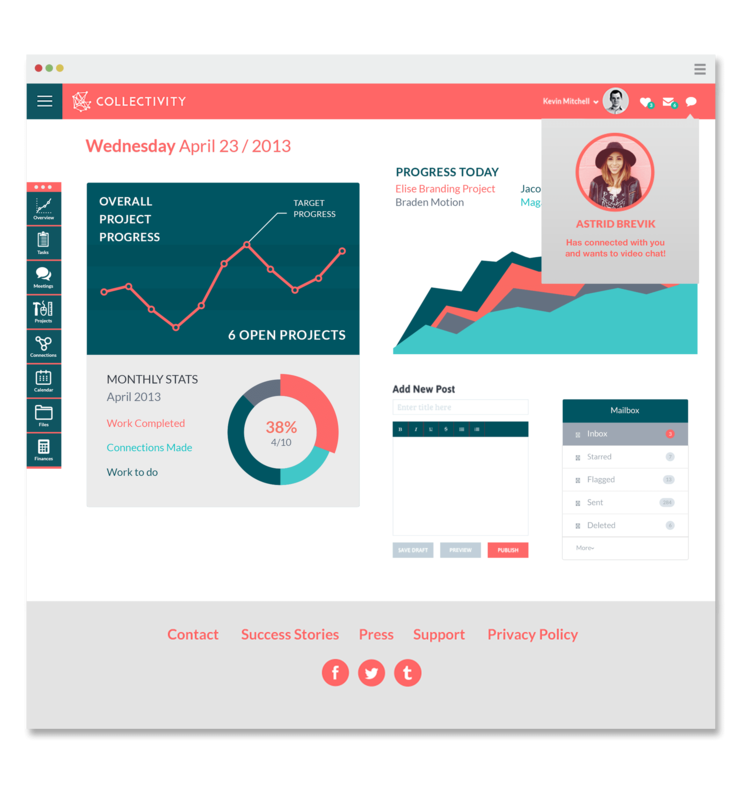 A one stop shop for digital collaboration, Collectivity offers portfolio browsing, on-site collaboration tools and a project management system, all in a responsive format. 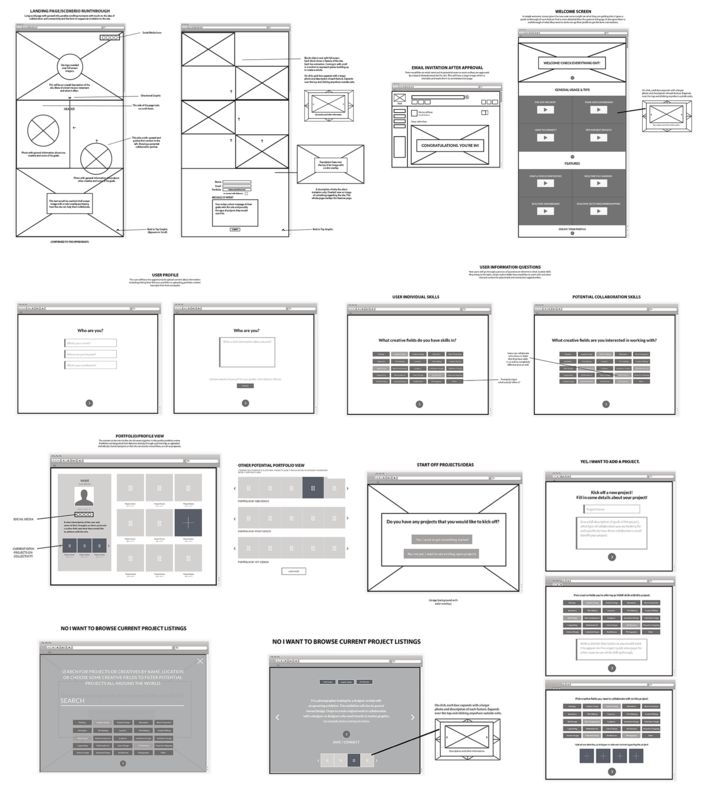 Collectivity is currently only a concept and not a functioning web application. 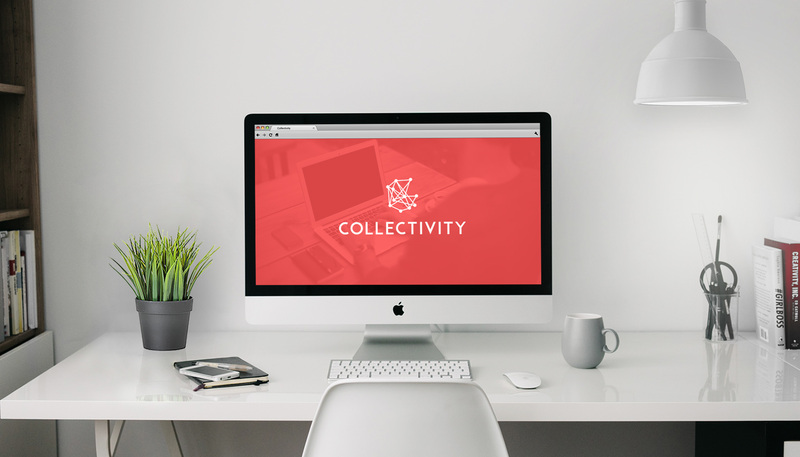 The landing page of Collectivity provides general information, shows an example of how connections are made, explains on-site tools and offers testimonials from happy users. After learning about the site, users can request an invitation by providing a bio, portfolio link and message of intent. 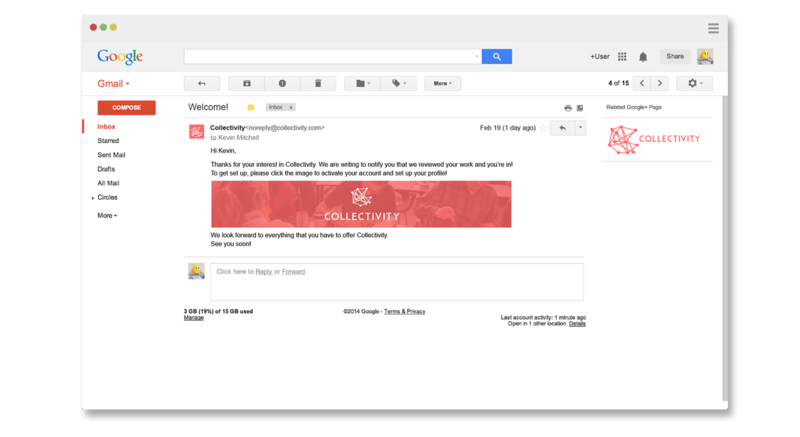 Collectivity uses an invitation based sign up to maintain a high level of quality content and ensure only serious users are on the site. Each request form is reviewed by a team of site moderators and if they feel that the applicant is a good fit, they are emailed an invitation and activation link. Users can follow the link and activate their account. Once users have access, they are given an interactive tour including video tutorials for features and useful tips for making connections. Next, users create a profile which includes a bio, capabilities, a profile photo and a portfolio. 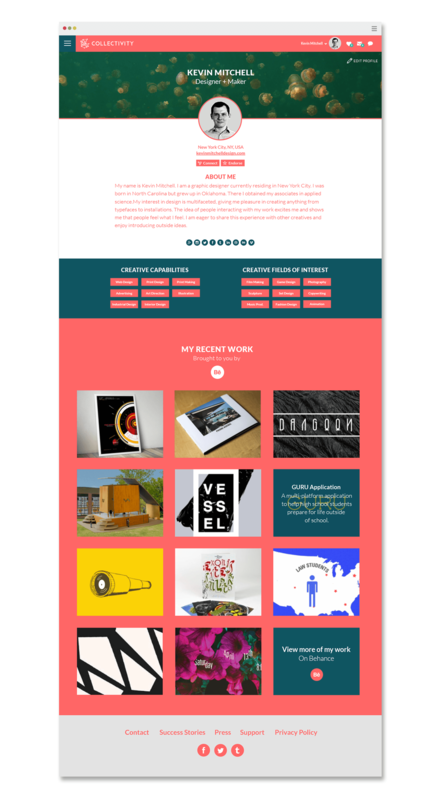 Collectivity integrates directly with Behance allowing users to easily add work to their profile. 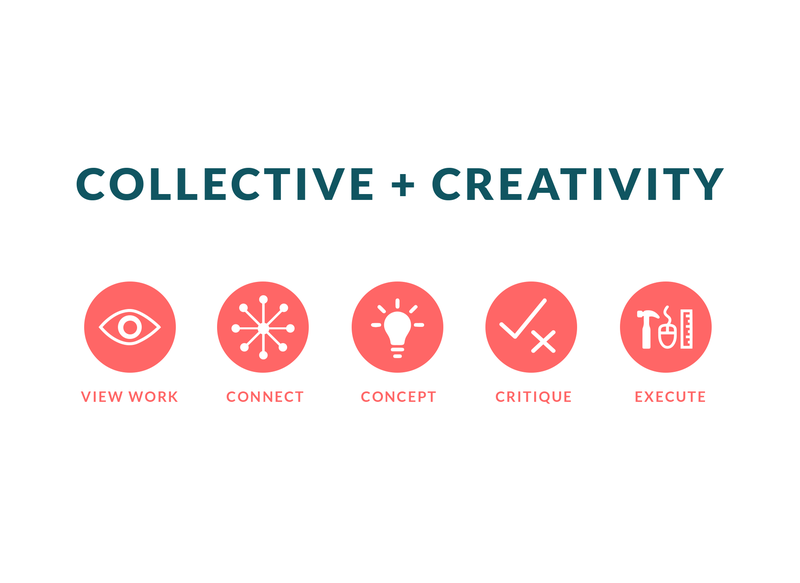 Collectivity offers the option to search creatives, browse projects or start a new project. Users can search by name, location, key terms or creative fields they offer or would like to work with. Results can be browsed in grid or slider views. 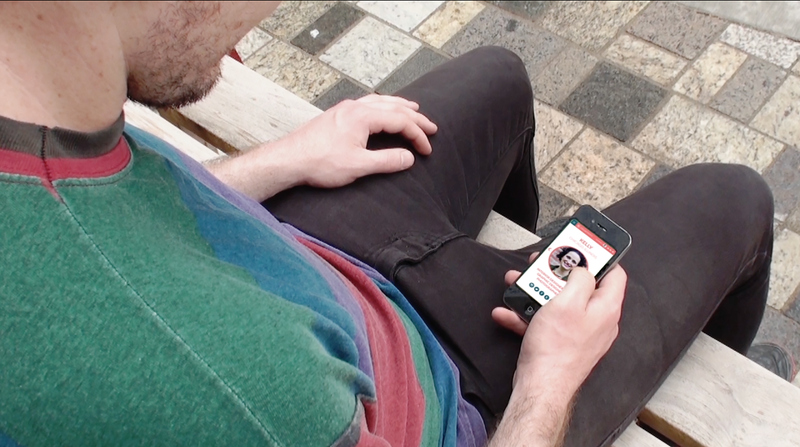 The user can message potential collaborators directly from their profile or project page. They will be notified in the user dashboard if their connection is accepted. Language barriers are never an issue with Collectivity because it features seamless auto-translation of both text and audio. The CoLab houses on-site collaboration tools which can be utilized simultaneously and users can easily customize their workspace. 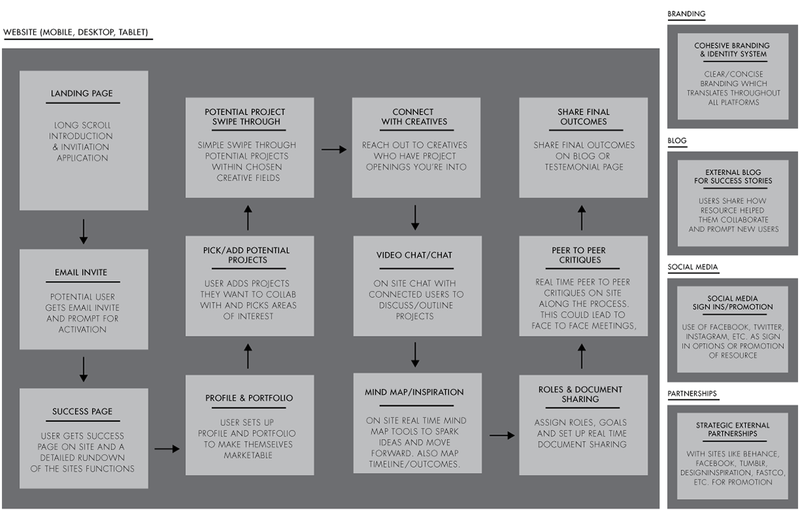 Tools and features of the CoLab include: video & text chat, a real-time collaborative sketch board, mood board tools, real-time file dropping, mind mapping tools and an interactive calendar & project timeline planner. All of the tools support versions so users can easily pick back up on an earlier concept. 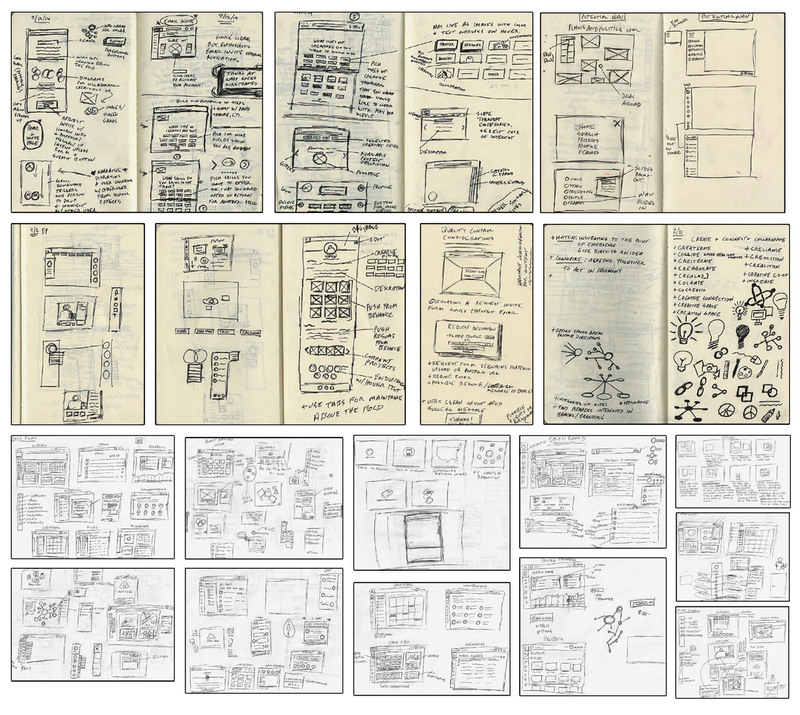 The Dashboard is a flexible space for users to track and manage their projects. 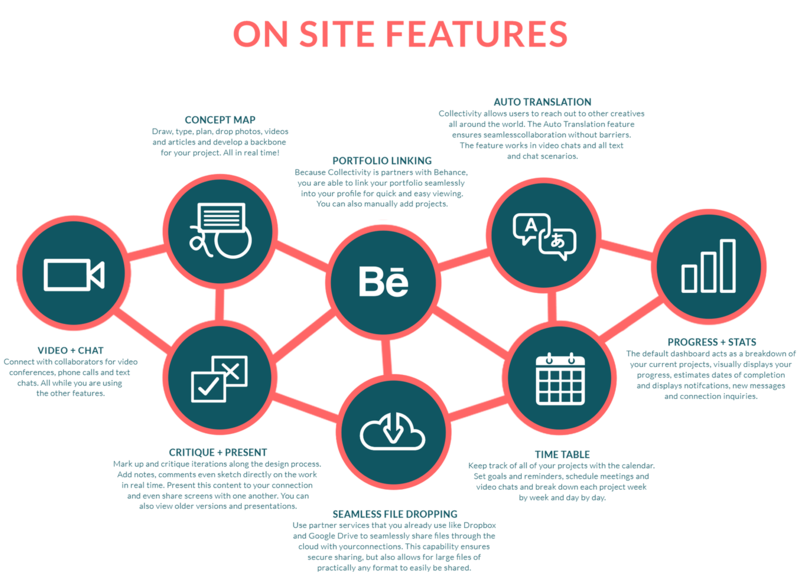 The space is customizable with widgets and the contents within the interface can easily be shifted and scaled for each user's workflow preference. 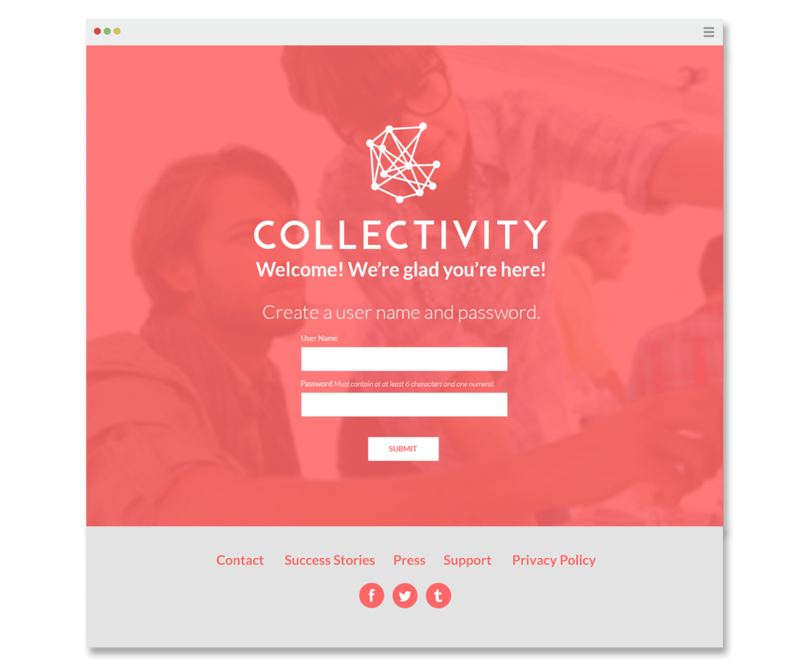 Collectivity is a responsive web app allowing users to easily manage their projects and find new collaborators from any device.